Stop being a generalist with no focus. Become a successful Niche Specialist. The business world becomes more complicated every year. 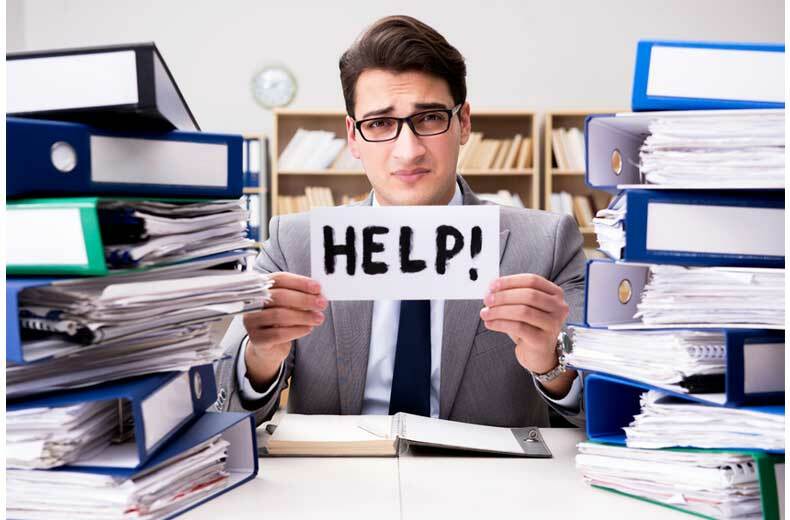 Yet most CPAs continue to operate as generalists, providing various accounting related services to a handful of clients in a wide range of industries. 1. Why would a prospect looking for a CPA opt to work with a generalist if, for a similar value, that prospect can work with a specialist? 2. Why would a CPA choose to practice as a generalist if there are enough potential clients in their area of interest to make a good living by being a specialist? By specializing within a niche, you are able to build a much deeper knowledge base within that niche to be able to work more effectively and give your clients, referrers, and prospects better information and advice. Niche marketing has worked great for my firm. Let me show you how to grow your practice by specializing within a niche. 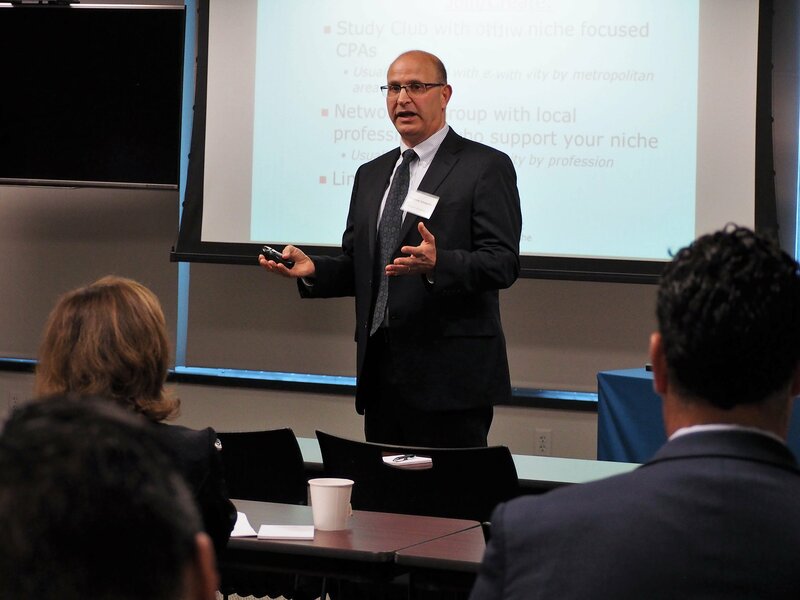 Andrew Schwartz CPA has boiled down his 30+ years of experience from organically building his narrowly focused niche specialty CPA firm into either a 1-hour or 2-hour presentation on How to Build a Successful Niche Practice within your CPA firm. Andrew's presentation makes a perfect topic for a short morning, evening or lunch'n'learn meeting or can be plugged in as part of a larger conference. Pairing this talk with Andrew's niche-marketing workshop makes for a very informative and interesting half-day meeting. If a hands-on experience is preferred, Andrew can facilitate a 2-hour niche marketing workshop during which participants will collaborate on a written niche marketing plan. Once lucky participant at each workshop will leave the session with a written plan in the niche of his or her choice. Another option is "speed coaching" sessions which are 15-minute one on one meetings between Andrew and the participants of a meeting or members of a firm. Speed coaching is a great way to add a different experience for meeting attendees. 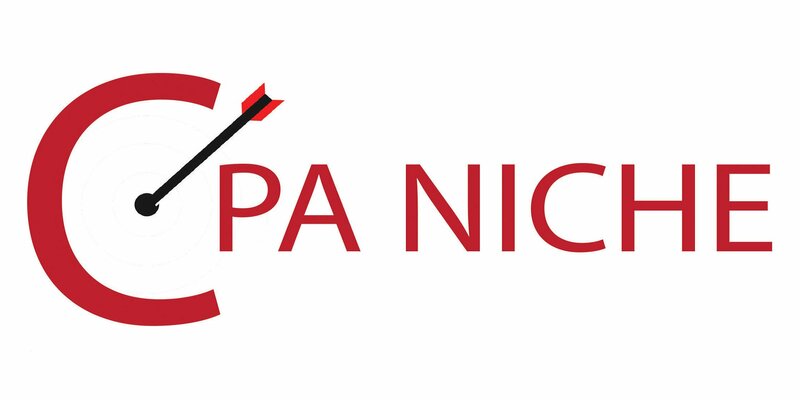 Ready to bring your CPA practice to the next level by specializing within a niche? Andrew can coach you and your partner group, managers, and/or newer staff to develop an easy-to-follow niche marketing plan for your CPA firm. Andrew's coaching can be completed as a 1-day session, two half-day sessions, or four 2-hour sessions. Andrew also offers a Maintenance Program for CPAs who complete the 8-hour program on how to develop a niche marketing plan for your firm. This program consists of a monthly 1-hour phone call and also unlimited emails, and will help keep you accountable to the plan you created. Thank you for the presentation this morning. It was very relevant to what we do. Your handout is very useful.